There are some literary hunks whose names alone are enough to make you melt. As we wade through these hot and hazy days of August, my mind keeps returning to one dreamboat in particular who’s more sizzling than the temperature outside, and whose name, character, and all around being are enough to make a girl reach for her the knob on the AC. Major Caspian Harrison, Third Infantry Division of the US Army, Medal of Honor recipient, heartthrob of Beatriz Williams’ Tiny Little Thing, and our Literary Hunk of August. Caspian. What a name. And only a man like this Major Caspian Harrison could carry it to its full potential. Caspian is a hero in every sense of the word. He’s a Vietnam war vet with a dress coat full of medals. He’s saved countless lives. If you’re ever in an emergency—be it emotional or life-and-death—it’s Caspian you want at your side. If you need your honor defended, you’ll want him there too. And you definitely do not want to be the guy he’s defending you against, because with those biceps and physical stamina? He knows how to throw a punch. Yes, Caspian is a presence, especially in his dress uniform, all stiff and pristine and smelling of starch. But more than that, he’s an extraordinary, ordinary guy. The kind of guy who eats breakfast at the same coffee shop every day, where everyone knows him and where he knows everyone. He’s the kind of guy you can talk to about anything, whether you’re a guy in his unit or a girl he just met over an apricot danish and eggs. He knows his cars. He knows how to sail. And he definitely knows how to take a photograph. He’s the black sheep of his family, and in a family like the Hardcastles, that’s not such a bad thing to be. He’s a man you can trust. There’s nothing sexier than that. 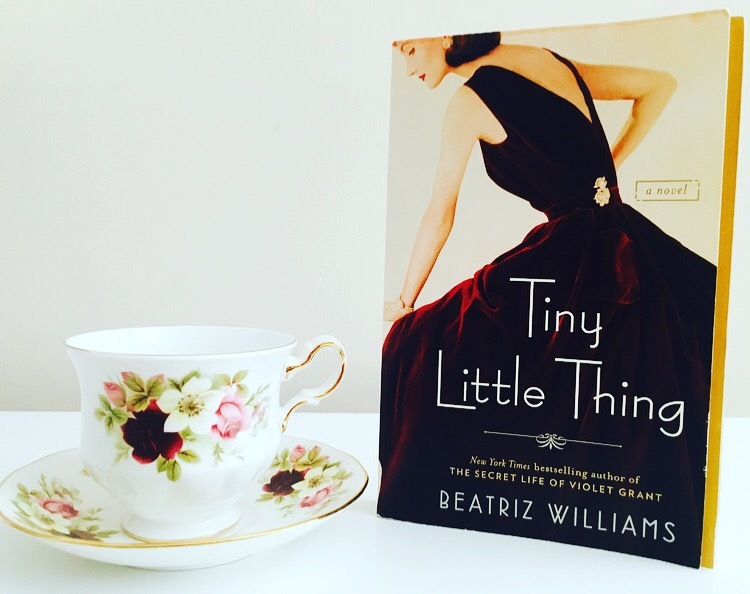 One of the things that makes Beatriz Williams one of my very favorite writers is the way she creates smart, unforgettable, one-of-a-kind heroines, and Christina “Tiny” Hardcastle, the titular Tiny Little Thing, is one of her very best. On paper, Caspian may sound too good to be true, but for Tiny, I can think of no match more electrifying. Tiny and Cap’s story settled its way into my heart the day I first read this book, and it’s stayed there ever since. Beatriz Williams has a bevy of swoon-worthy hunks in her novels, and you’ll surely see more of them featured as Literary Hunks of the Month in the future. But there’s something extra special about Caspian Harrison, and if you’ve read Tiny Little Thing, I’m sure you’ll agree. If you haven’t, what are you waiting for? We’ve still got a few weeks of summer reading left, and he’s bound to be the hottest guy on any beach you take him to. Just be sure to bring plenty of water, because Major Caspian Harrison is guaranteed to melt your heart. For more on Beatriz Williams and all of her swoon-inducing heroes, visit beatrizwilliams.com and follow her on Facebook, Twitter, and Instagram.